Congratulations to Dr Sehrish Kanwal on completion of her PhD. 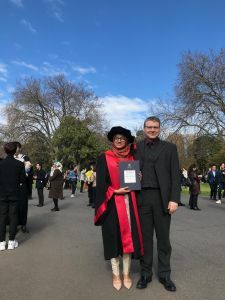 The graduation ceremony took place at the Royal Exhibition Building and the weather was favourable. Good luck for the future Sehrish!